C onfirming its reputation of Master of Complications, Franck Muller has produced an extraordinary openworked minute repeater. The combination of Haute Horlogerie craftsmanship and high expertise allowed Franck Muller to manufacture this incredibly complicated movement. 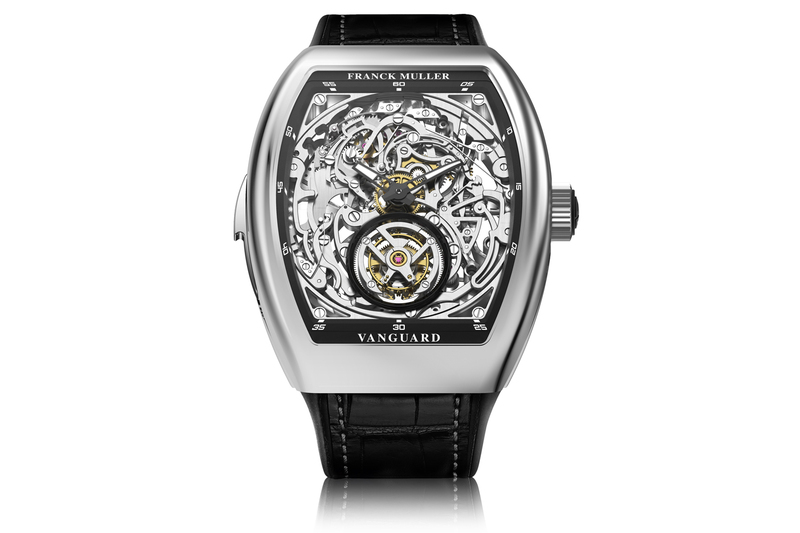 A magical complication to reflect the savoir-faire and creativity of Franck Muller. Powered by a manual mechanical movement of 389 components and 33 jewels that is wholly designed in-house, the timepiece features an impressive power reserve of 60 hours. Furthermore, the Vanguard Tourbillon Minute Repeater features a large watch case built to accommodate the space needed by the complex movement. The Minute Repeater mechanism can be activated at will by means of a slide-bottom situated at 8 o’clock. The hammers chime two gongs, sounding the hours, quarters and minutes. This newly skeletonized timepiece showcases the incredible Franck Muller savoir-faire in one of the most complex feats of watchmaking. It embodies the fantastic match between innovation, modern design and the respect of the Haute Horlogerie traditions.